Parkinson’s Therapy Class is a non-contact boxing class for people fighting Parkinson’s disease. Numerous studies show that strenuous, aerobic exercise like boxing can help improve people with Parkinson’s physical performance and activities of daily living. Boxing emphasizes balance, footwork, quick reactions, changes in direction, hand-eye coordination and aerobic training. 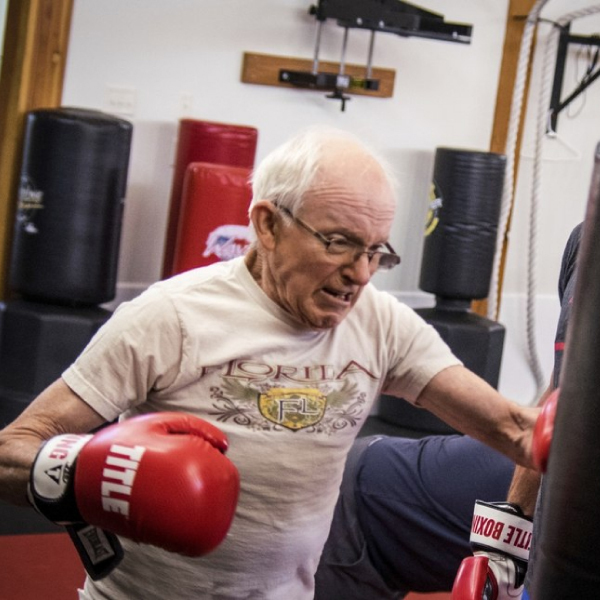 Boxing can help those with Parkinson’s enhance their lives as well as build power, strength, flexibility, and speed that lessens symptoms and leads to a healthier and happier life. Island Boxing provides a safe, yet challenging environment to work on physical fitness, overall coordination and develop the fighter’s “never give up, never give in” mentality.